Well, in the United States today our “authorities” are pumping massive amounts of new dollars into the system. 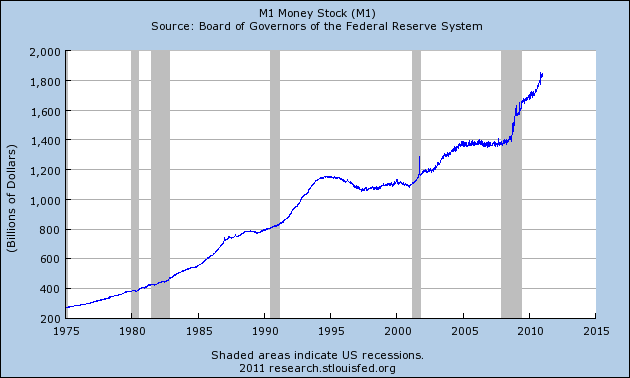 That is one reason why so many people are so upset about the Federal Reserve’s “quantitative easing 2″ program. The Federal Reserve is creating money out of thin air and pumping it into the financial system. The first people that get their hands on this new money are Wall Street banks and major financial institutions. The idea is that eventually all of this new money will “trickle down” and will help average Americans, but that just does not seem to be happening. Between 2000 and 2009, the total amount of credit in the world grew from 57 trillion dollars to 109 trillion dollars. Now the World Economic Forum saysthat we need to grow the total amount of credit by another 100 trillion dollars over the next ten years to “support” the anticipated amount of “economic growth” around the world that they expect to see.